In today’s complex, interconnected economy, these bilateral deficits are practically unavoidable. President Donald Trump has been promoting the politically charged narrative that the U.S. trade deficit is a direct result of the rest of the world treating us “unfairly.” In fact, the terms “unfair” and “trade” appear together more than a dozen times in Trump’s tweets just since March. These attacks are designed to resonate with many in Trump’s base who feel disenfranchised by outside forces. Unfortunately, Trump’s politicking on the subject is simply not grounded in the principles of fundamental economics. Trade deficits are not inherently bad. Indeed, Adam Smith — the father of modern economics — opined, “Nothing can be more absurd than this whole doctrine of the balance of trade.” Trump has also made clear that he prefers bilateral, over multilateral, deals. It’s a focus based upon a misconception of how and why trade works. A trade deficit results when a nation imports more than it exports. The headline number includes both goods and services. Trade deficits can be bilateral (say, between the U.S. and China) or multilateral (between the U.S. and multiple trading partners). Comparative advantages and the specialization of labor enable more efficient production of goods and services, but they also trigger potential bilateral trade deficits. Consider your own personal “trade balance.” You probably run a persistent trade deficit with your neighborhood grocer as you exchange your money to “import” its goods. Similarly, your employer probably runs a persistent trade deficit with you, as it exchanges its money to “import” your services. Yet, we do not generally consider these pairwise relationships to be unfair. These statements can be misleading and paint a dismal picture of the U.S. as a victim of the rest of the world. They also ignore the fact that the U.S. has transitioned to a more services-oriented economy during the past several decades. Service industries now represent 68 percent of U.S. GDP and 80 percent of U.S. jobs. 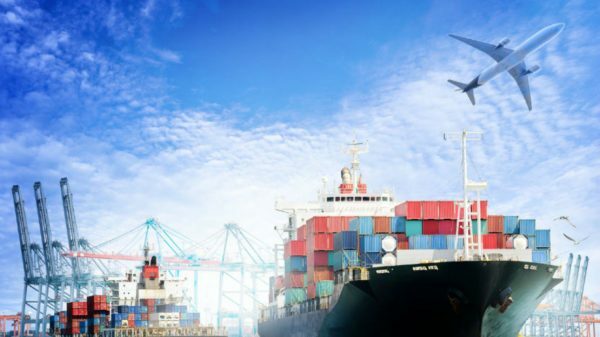 A closer look at the trade figures reveals that while the U.S. has been running a global trade deficit in goods, it has actually been running a consistent global trade surplus in services. Unfortunately, Trump’s misunderstanding of the economics of international trade goes even deeper. He has adopted a mercantilist posture that regards trade as a zero-sum game: Imports are a loss, and exports are a win. But this is not how trade works. As a nation, we trade in order to obtain the benefits of imports, which have been produced more cheaply and more efficiently than we could achieve by ourselves. Our exports are the price we pay for those imports. So, what happens when imports and exports are imbalanced? We buy goods from a trading partner using our dollars. That partner then uses those dollars to buy goods from us. Any shortfall (trade deficit) is offset by that partner ultimately channeling the remaining dollars back into the U.S. These investments help finance our federal debt and support capital investment. To put it another way, foreign capital partly finances American consumption and investment. And the American consumer has a voracious appetite. We can argue about the dangers of decadent consumerism, or the ills of mortgaging our future to finance current consumption. But either way, we cannot claim to be unwitting victims of the trade deficit and condemn foreign financing, while at the same time enjoying its pecuniary benefits. The alternative is to undertake a national effort to curb consumer spending, take up fiscal austerity, and lower our federal debt — which is neither immediately gratifying nor politically expedient. S. Michael Sury is a lecturer of finance in the McCombs School of Business at The University of Texas at Austin. Prior to academia, he was a nationally top-ranked money manager, supervising several billion dollars in client investment assets, first at Goldman, Sachs & Co. and then for his own firm.